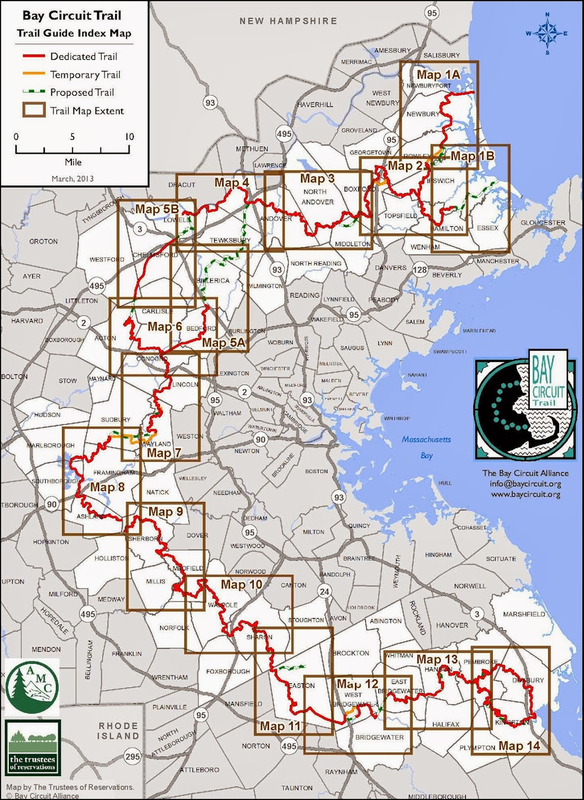 The Bay Circuit Trail is approaching the fulfillment of an eighty-year old dream – a permanent public recreational trail and greenway, linking parks and open spaces in fifty-seven Boston area communities, 200 miles from Duxbury and Kingston on the South Shore to Ipswich and Plum Island on the North Shore. 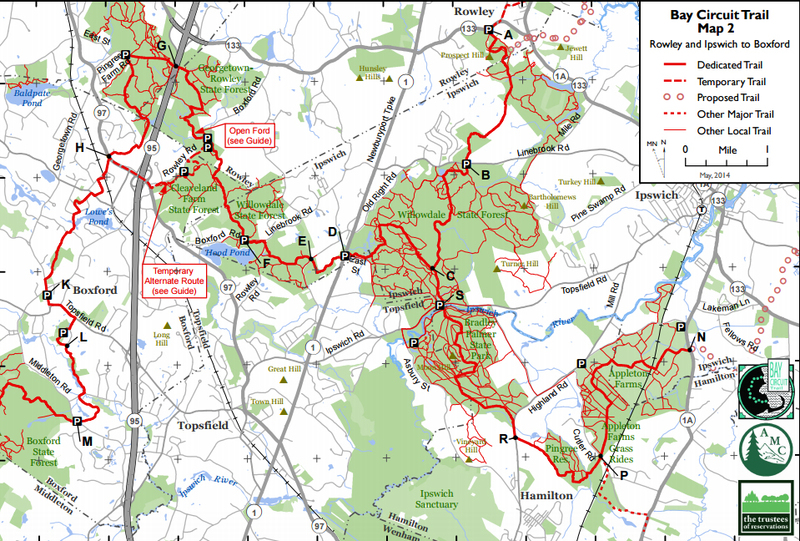 Eleven miles of marked trails are in Ipswich. Within a stone’s throw for millions of people in eastern Massachusetts, the Bay Circuit Trail is ideal for hiking, biking, snowshoeing, and cross-country skiing. Extending through 34 towns, this “outer Emerald Necklace” stretches from Plum Island in the north to Kingston Bay in the south. 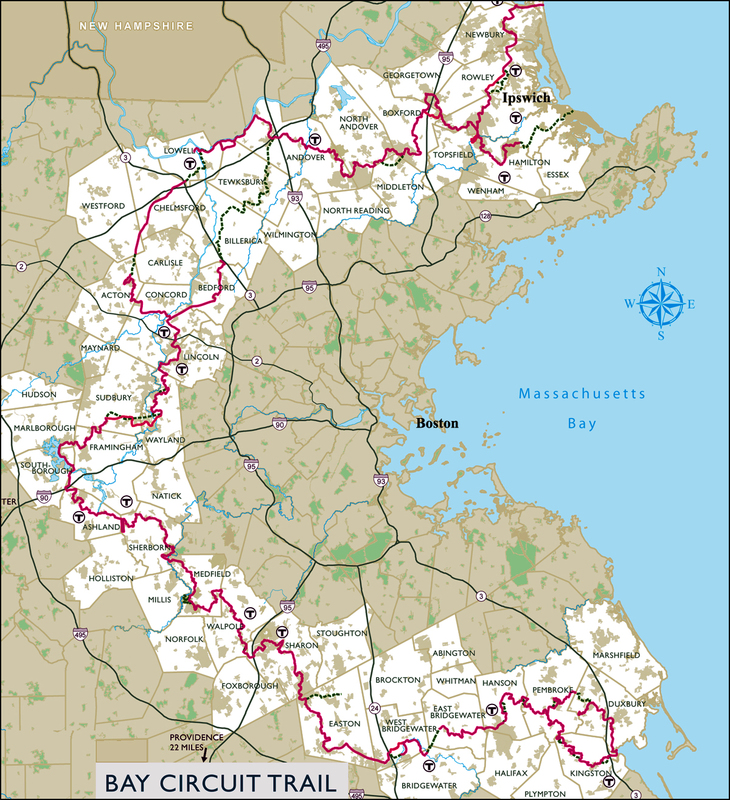 The Bay Circuit Trail Map & Guide is the essential day-hiker’s companion to the 200-mile-long trail and greenway encircling Boston This guide, the first trail-friendly, waterproof map and guide to the entire BCT―features three easy-to-use topographical maps. Included are more than 30 multi-use trip suggestions, safety tips, natural and cultural history sidebars, and more. Scale and parking identification allow for easy navigation to trailheads. These maps are based on highly accurate digital trail data compiled by AMC’s staff cartographer.